There are many businesses within the Loughborough area that would benefit from a more pronounced online presence. 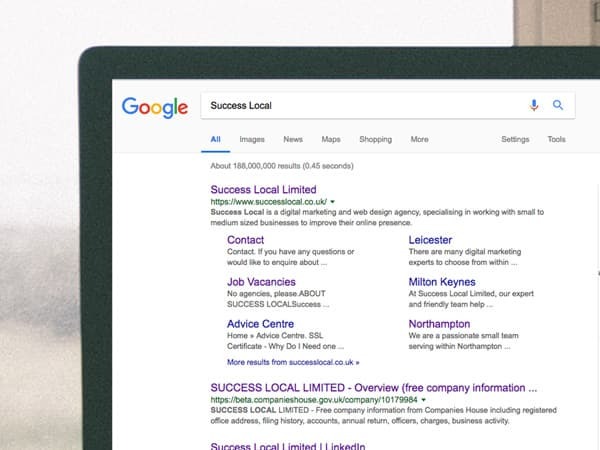 Success Local have a team of highly skilled individuals with over 50 years of combined experience within the digital marketing industry. We specialise in web design, SEO, PPC and social media advertising, meaning we are a one stop solution to help build and maintain your online presence. If you are looking for a brand new website, or even a revamp of your existing one, we have a team of talented web designers that will work alongside you to create a product you can be proud of. Our designers will guide you through the process from start to finish until your vision has materialised. One of our unique features is that we offer a free homepage design so you can see what you are purchasing, before you make the commitment to go all the way. We build our websites utilising the latest web technologies and adhering to the latest web design trends, so your new website will stand the test of time. 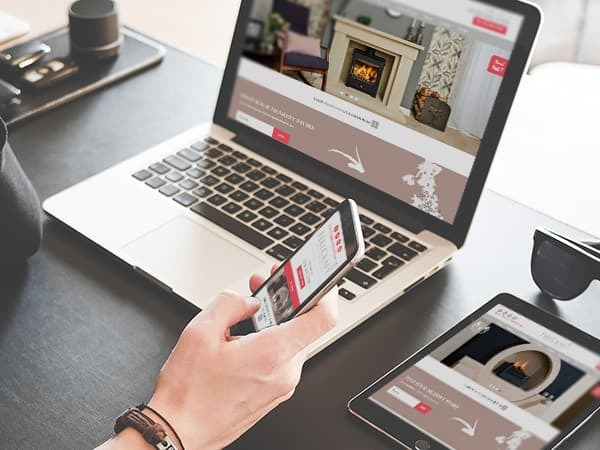 Our websites work flawlessly across all platforms, so whether the user is browsing on a desktop, mobile or tablet, they will have an equally pleasant experience across the board. If your based in Loughborough, you would like the local community and surrounding areas to be able to find you when searching Google for their required services and products that you provide. After you have a website that will represent your business in the best possible light, we will talk with you to discuss your long and short term goals. Based on this discussion we will recommend SEO, PPC or maybe even a combination of both. We will then assign a digital marketing expert to your campaign. All of our digital marketing experts are fully certified in Google Adwords and Analytics so you can be sure your campaign is in safe hands. SEO (Search Engine Optimisation) aims to ensure that your website appears when someone searches for your chosen keywords within a search engine such as Google, Bing or Yahoo. This is achieved by including high quality content across the website and by correctly aligning directory and online listings. We also use a range of other checks to give your website the highest chance of ranking within your chosen area. 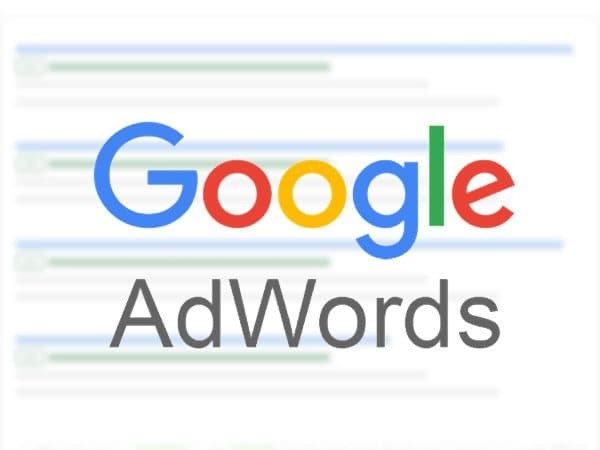 Some businesses may opt for PPC (Pay Per Click) to appear at the top of the search results on your chosen search engine. By setting a daily budget, we can ensure you never exceed your monthly spending limits. We create high quality, relevant ads and match them to the relevant pages on your site. This gives us a higher quality score, enabling us to reduce your average cost per click. Social Media Advertising can be an effective tool in reaching out to many potential customers. 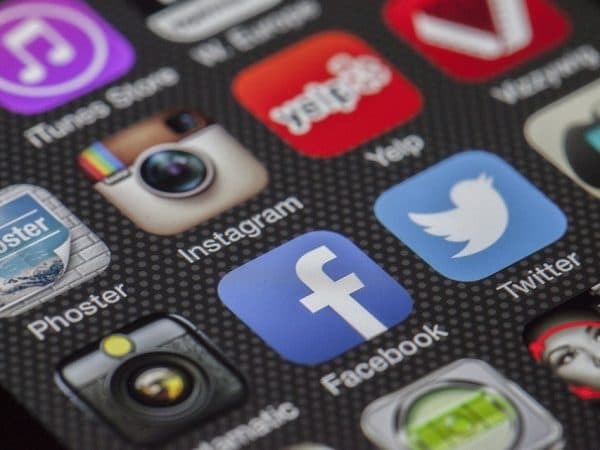 The great thing about social media advertising is that it allows you to create a target audience based on criteria such as location, interests and demographics. This can ensure that the audience you are targeting have a genuine interest in the products or services you are offering. Our team of experts are used to working on campaigns across the major social media platforms including Facebook, Twitter and Instagram. If you’d like to know more about our services then please email us at info@successlocal.co.uk or get in touch on 01455 367 100. We look forward to hearing from you.